How good is Aries at keeping secrets?  Can You Confide In Aries? Find Out Below! You are a truly open-hearted person, Aries. You don’t have secrets because you eagerly share them with others. Secret info is a burden for you. What if you just blurt it out accidentally? What if you assume that it is already common knowledge? So, if you are asked if you’d like to know a secret, you’d probably say you wouldn’t. It doesn’t mean though that you are a hopeless confidant. You know the line you should not cross and you know how to keep quiet. Only it’s too hard to do so when the secret you’ve been told is really a good, happy one, like an upcoming engagement or a new baby on the way. Bad news is easier to keep secret.